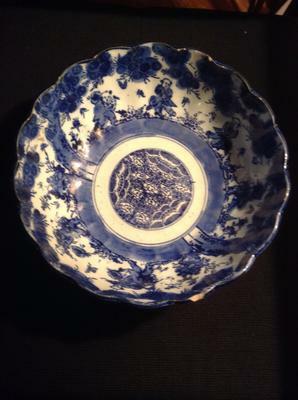 Large blue and white bowl. 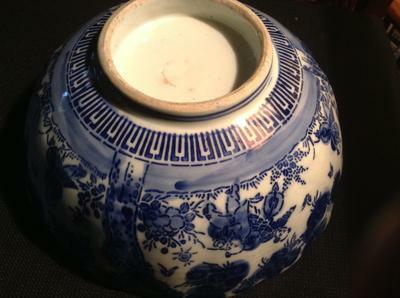 Comments for Large blue and white bowl. 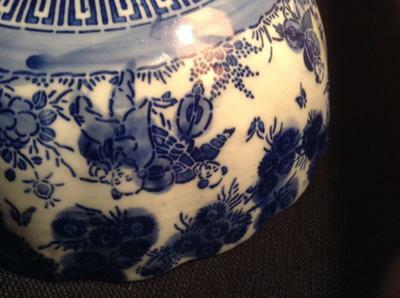 This is transfer printed and despite the Chinese boys motif the decoration looks Japanese. Transfer printed items that are Chinese couldn't be 19th century as the printing was only used later in the 20th, but never extensively, as far as I know.